So last night I was racking over my Kolsch from the secondary into a keg and I was harvesting the traub to use for an alt in the future. It was just then it happened, I turned my head and my yeast bit me! The goddamn stuff jumped out of the bottle and bit my finger! I immediately proceeded to shake the beast free from my finger and it took off towards the sum pump. This yeast knew it was strong enough to brave the cold upstate winter and it wanted the freedom of the outdoors. Fearing for my own life and the life of my assistant brewer Meatball, I went after the beast. It was an ugly scene, traub, hops and blood were everywhere, but at the end of the day, I had bagged me a ferocious yeast stain. Seriously though, that kolsch yeast is a REALLY aggressive yeast. It's pretty unexpected because it's associated with lighter beers, but it flocculates right through the wort like it's nobodies business. Last night I did some racking. When I went to rack my kolsch over to a keg from a secondary that has been in the fridge for the last 8 days, the yeast was STILL bubbling in the bottle I used for yeast storage. As you can see from the pictures above, the one on the lest is the kolsch as I am racking it over last night. The one on the right is the cream ale that used the same yeast and is in the fridge now. If you notice the bubbler with the red cap on the left, that's the one where the yeast from the kolsch is and it's already bubbled over since last night! Anyway, just a word of warning on this dangerous beast, err I mean yeast. On the kolsch itself it's a very light beer. I actually topped it off with water after the primary which may have lightened it more, but it tastes fine. It's going to need a little time though. There is a definite lager taste to the kolsch yeast which makes it really intriguing. I did some reading last night in Ray Daniels book, Designing Great Beers, and he traces the origin of the kolsch to a time when Germany went crazy for lagers and ales needed to take the edge off in order to preserve the classic ale styles of old. Interesting stuff and a GREAT book if you want to tell your kids or wife something to get you, this is a great choice. When I kegged the kolsh, I racked over the cream ale into the secondary. It was pretty light as well. It has a really nice flavor to it, I think I might bring this to x-mas with my in-laws because it's a great gateway beer for people who are into American Pilsners. In the end, the whole experience was nothing a few band-aids and a beer couldn't fix. If you do share it at Christmas time, let us know how it goes. I'm always interested to hear how the uninitiated take to home brew. Which reminds me. One weekend in early summer I bought a case (we're in PA) of Miller High Life for an old friend who was visiting. (don't ask...it was hard to do) He had two Miller High Life's and then said, "Can I try some of your homebrew?" I filled a pint glass with a dry hopped IPA and handed it to him. He tasted it and took a moment to get his taste buds wrapped around it and said something like, "That's pretty good." Not another bottle of Miller High Life left the fridge that weekend. I still have half a case of "The Champagne of Beers" in the fridge. I love telling that story :-) It gets better each time! Yea in a lot of one-on-one circumstances I have had luck. Sometimes a "novelty" style beer (like me taking a pumpkin ale to a halloween party) is the answer. In this case, I am calling on the Oktoberfest party we had. Everyone LOVED the Oktoberfest that was there and they have been asking for more. That is probably the best gateway beer of them all. 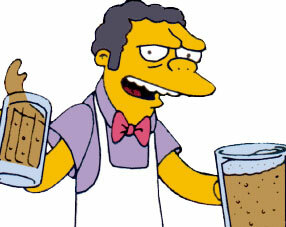 You fire up some brots and pour a couple of glasses of suds and there is no way they can have a problem with that brew. Travis you really need to add some sort of spell check to your blogging. In the pictures of the racking of the krolsch, is that a plastic bag on your carboy??? I know you were talking about getting into some of your beer fetishes but I figured you would use something a little "bigger" than the Krolsch. You got beef with my spelling, take it up with Google, I am only as good as my spell check. And on the other thing, what I do with my 5 gallons of beer is my business. So maybe I went a little "Chicken Little"